 U-Pick Archives | What Should We Do Today? 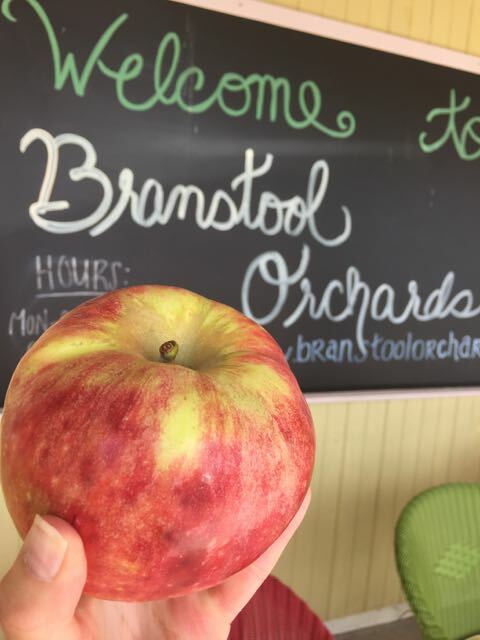 This post was written in partnership with Branstool Orchards. Peaches at the grocery store are hit or miss, am I right? Mostly miss, in my opinion. I’m always afraid to buy them because they usually disappoint. There is nothing like a sweet, juicy peach, but they are just hard to come by at your local grocery store. 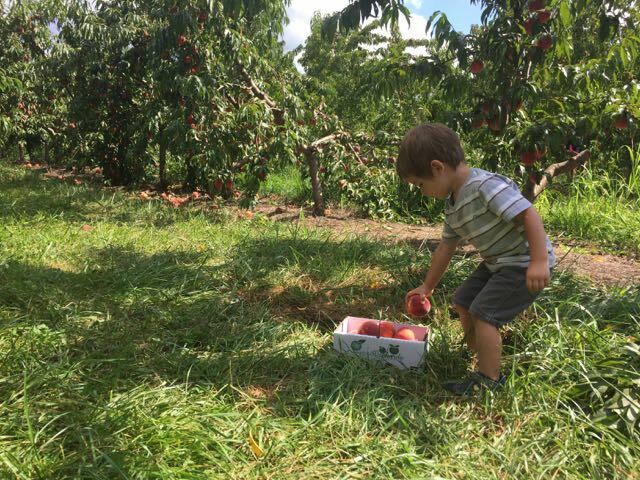 Picking your own peaches at Branstool Orchards is a relaxing and family-friendly experience. 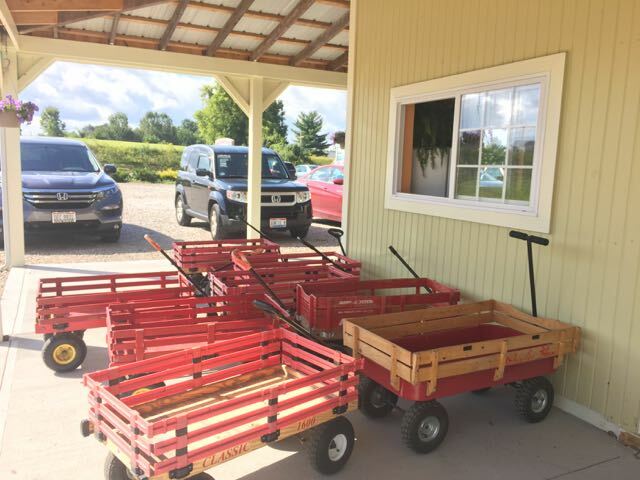 Kids are encouraged to take part, dogs are welcome, and there are picnic tables throughout the orchard where you can stop and have a snack or a picnic! 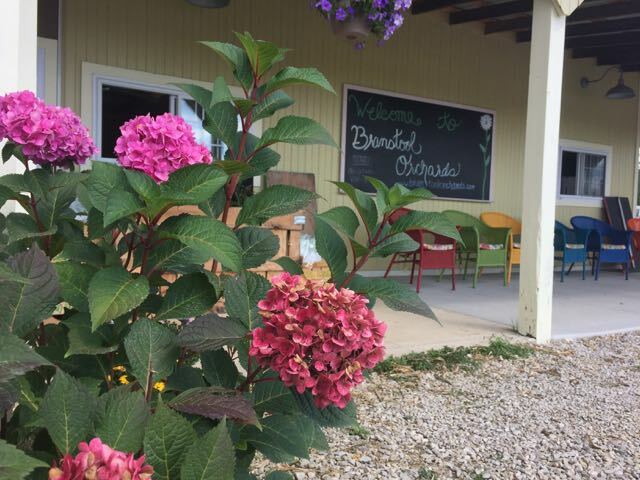 Branstool Orchards wants your family to have a good time when you visit! They want it to be an outing where your whole family is relaxed and enjoying the process, not just the end result! 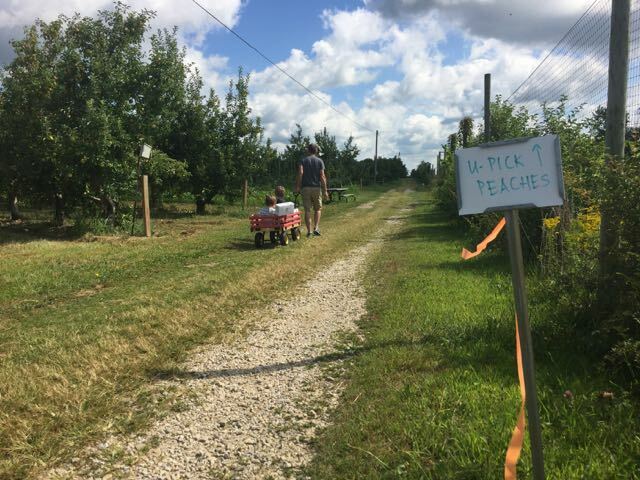 You can pick up a wagon (for either your kids or your peaches) and stroll through the orchard. I think most kids LOVE this kind of thing! 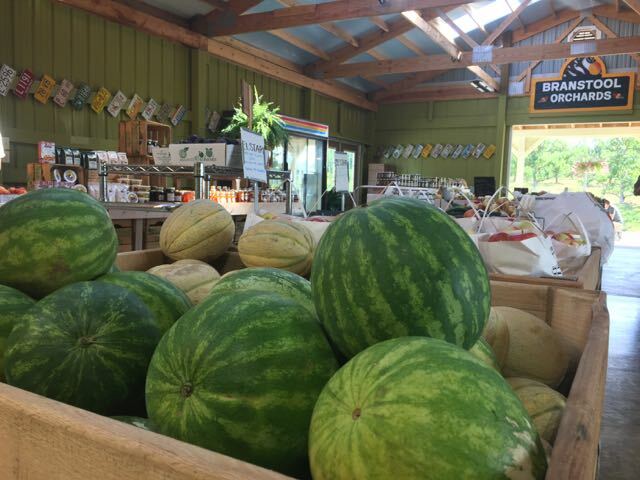 It’s so good for them to make the connection about where their food comes from, and I think they enjoy it more when they know they’ve hand-picked what they’re eating. 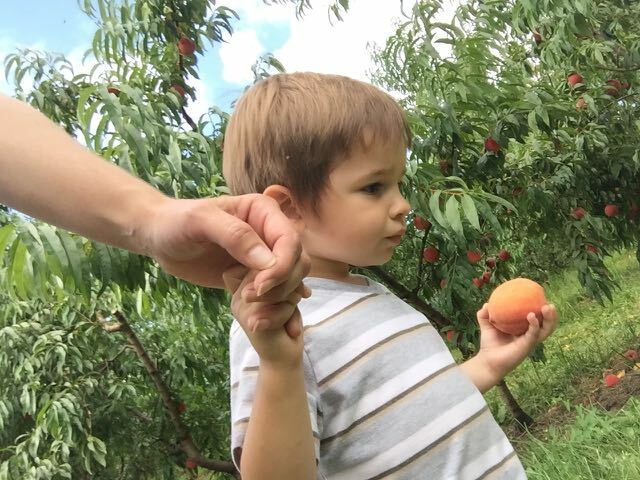 I don’t know many kids you have to convince to eat a peach, but mine can be weird about eating a lot of things I personally think are delicious, so you never know. 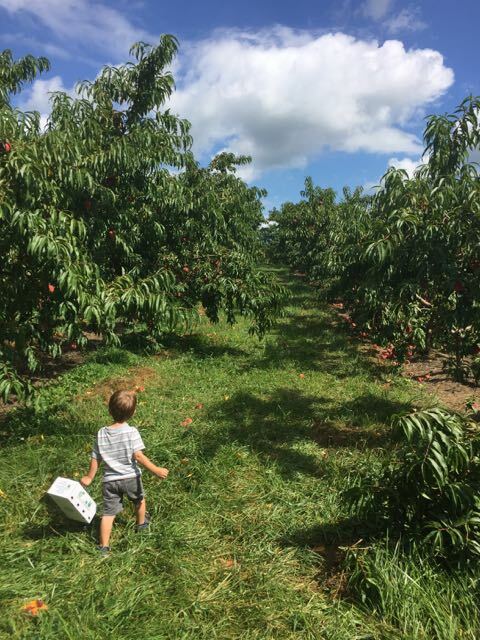 I do know that being able to pick the peaches and eat them out in the orchard made my kids 100% willing to eat them at home – something that is never a given! You guys, it’s beautiful! It’s relaxing and unpretentious. 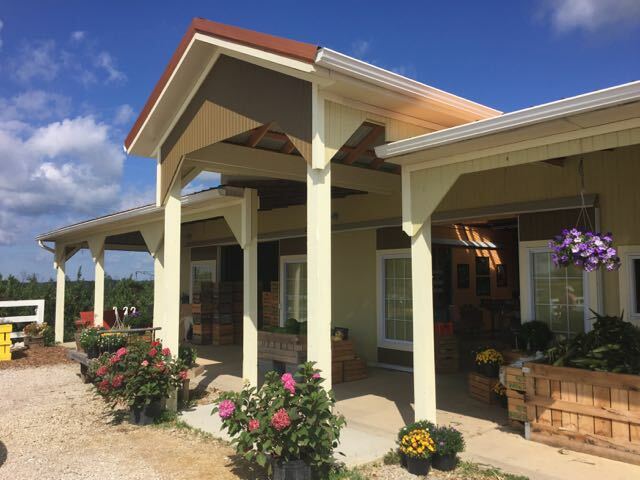 Are there farms that are pretentious? I don’t know, but that just feels like a good way to describe the orchard! 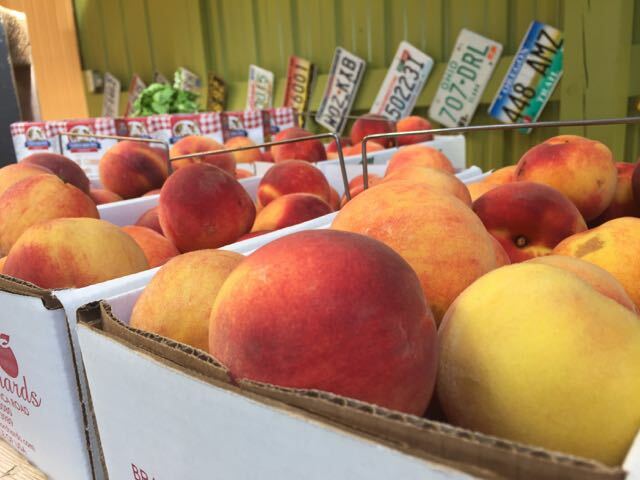 Peach season is typically July through September. 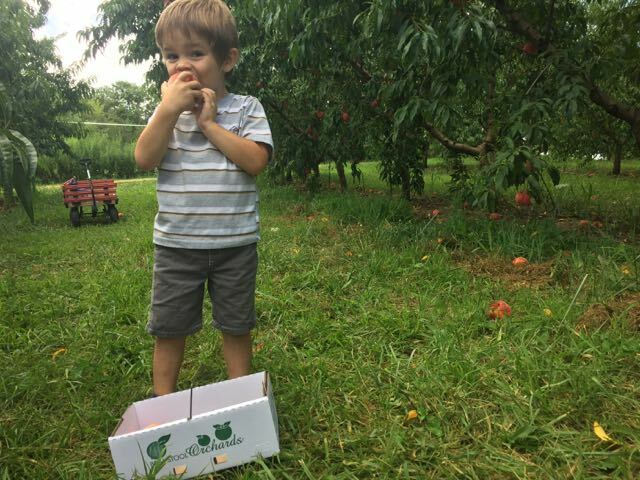 This year things came a little early at the orchard, so they are expecting just 2-3 more weeks of peach availability! 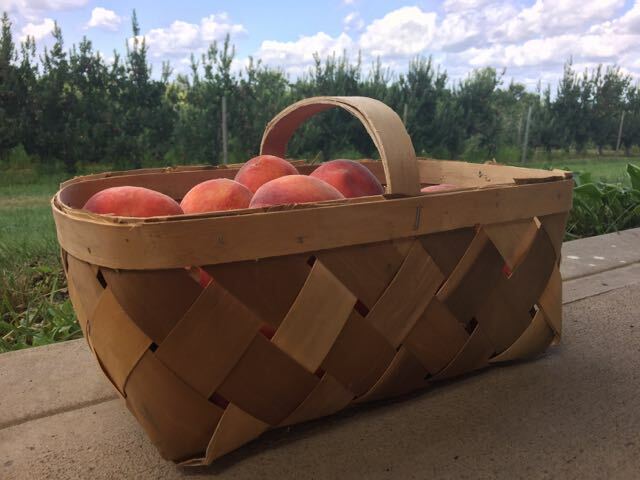 Keep an eye on their Facebook page for updates on what peaches are currently available. 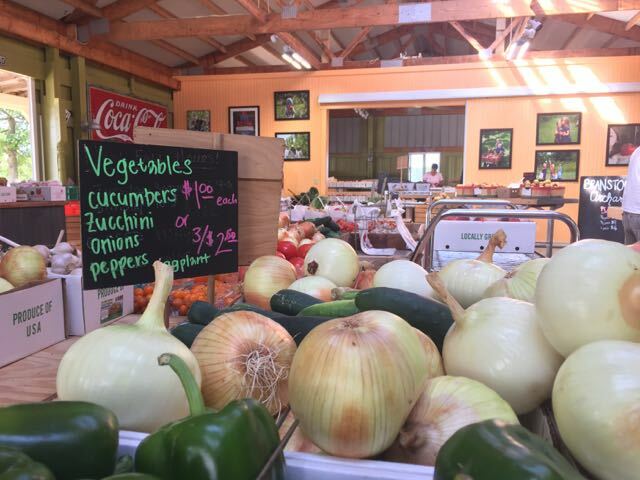 If you don’t have time to pick your own, no worries! 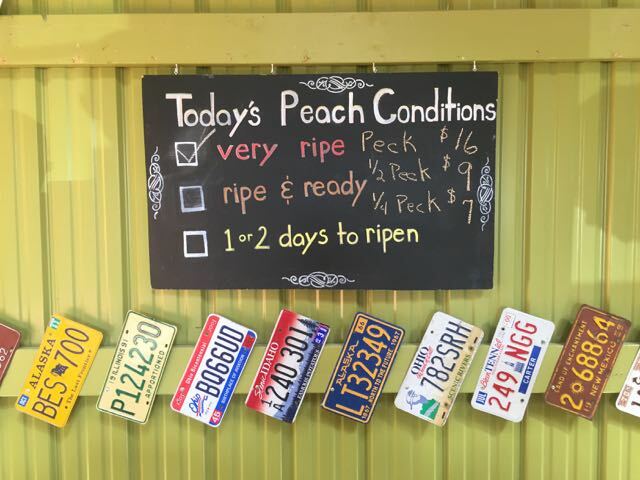 Pre-picked peaches are available in the market. 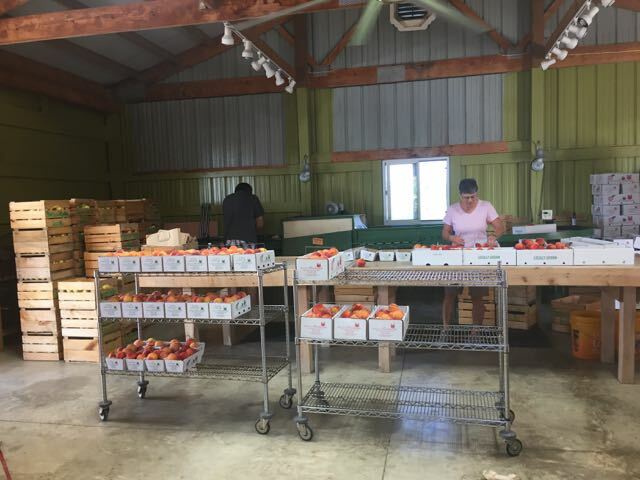 Branstool Orchards handpicks their own peaches at the perfect point of ripeness and then employees hand sort them, picking out “seconds” that don’t meet their quality standards. We got to see this first hand, and you can too, as the workspace is visible from and attached to the market. Don’t worry, the “seconds” don’t go to waste, you can buy them at a reduced price for canning or jam! 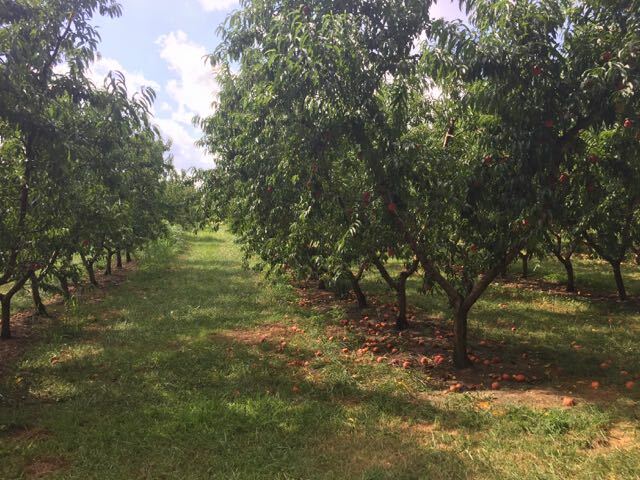 Branstool Orchards is partnering with several local businesses: Columbus Brewing Company is using Branstool peaches for a peach beer! 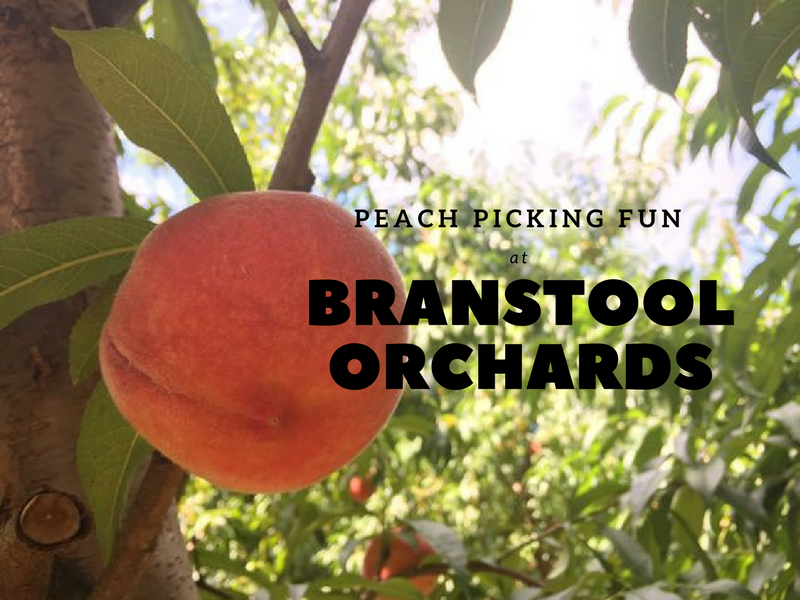 If you head down the road to Velvet Ice Cream Factory, you can get a peach sundae made from Branstool peaches! 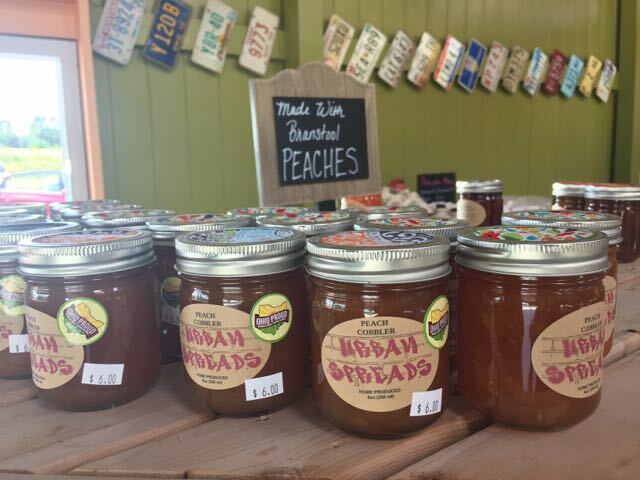 Urban Spreads uses Branstool peaches in their jam, sold at the market! 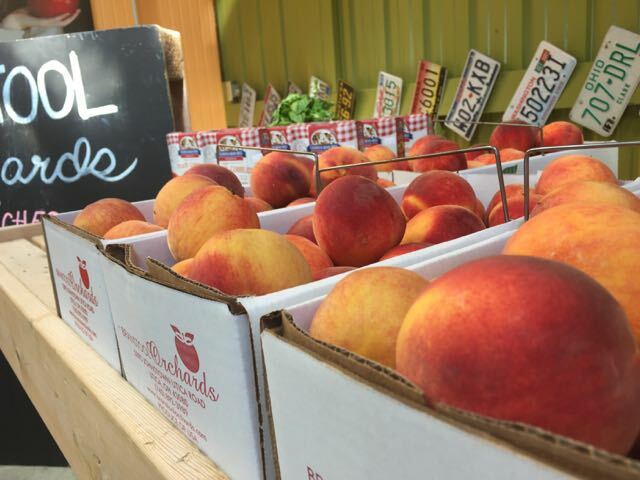 So many amazing ways to eat (or drink) a peach! 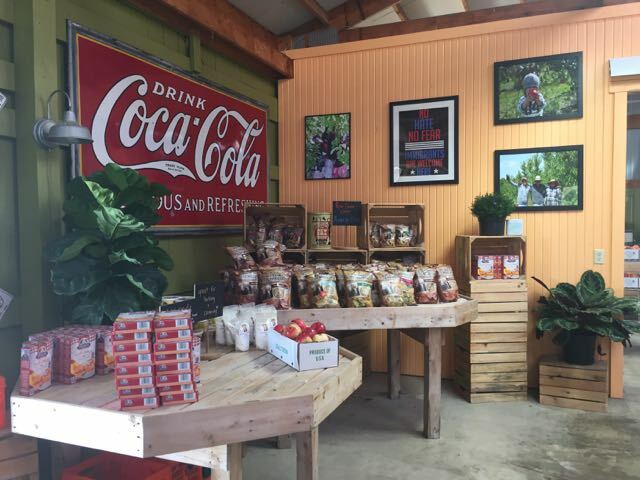 Another great thing about the produce grown at Branstool Orchards is their chemical-free initiatives. 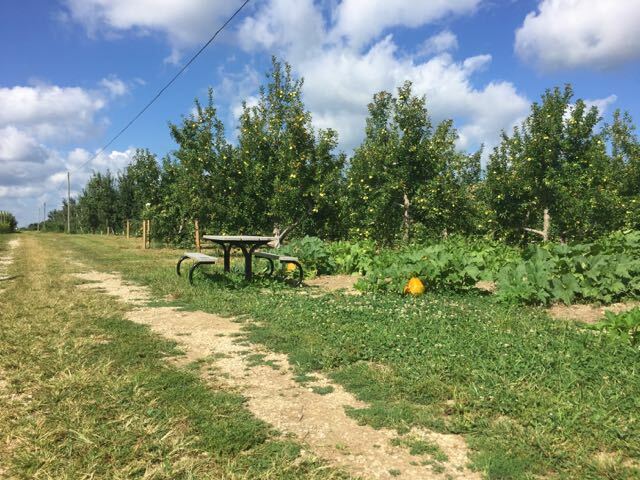 Over the past several years they have been reducing their use of chemical pesticides by using mating disruption and companion planting. You can read more about that here. 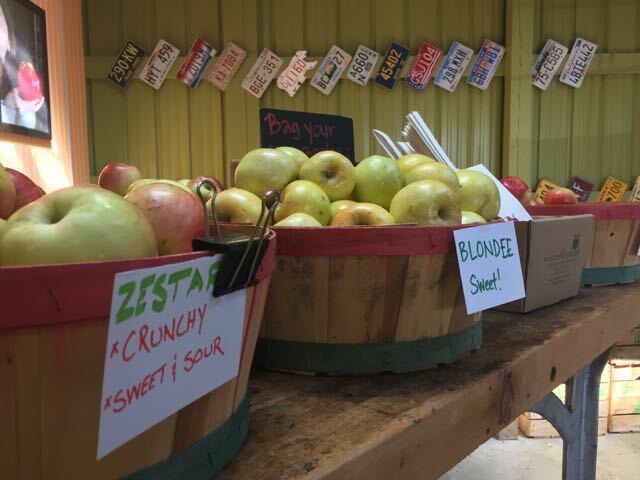 They also polish their apples instead of using the wax you will find on your grocery store apples which is another bonus! 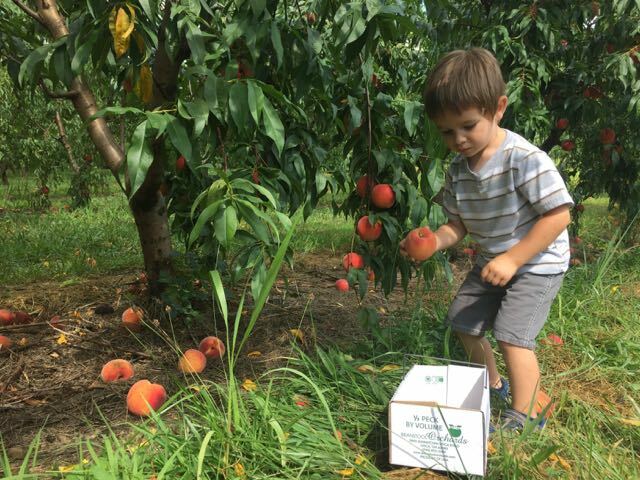 If you can’t make it out for peaches, Apples will be available to pick until November! 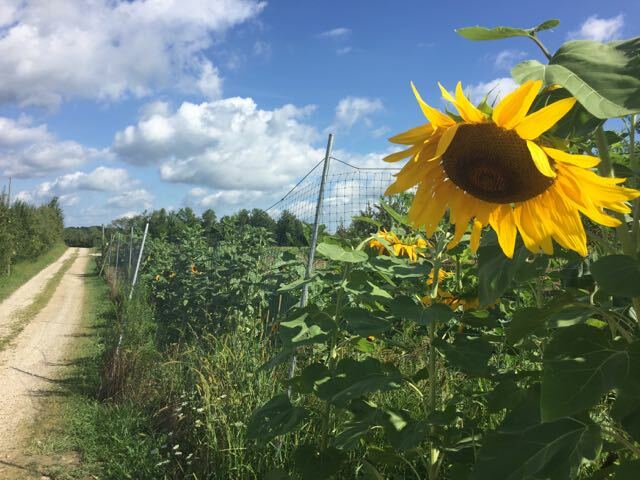 You can see the approximate ripening dates here and make a plan for this fall! 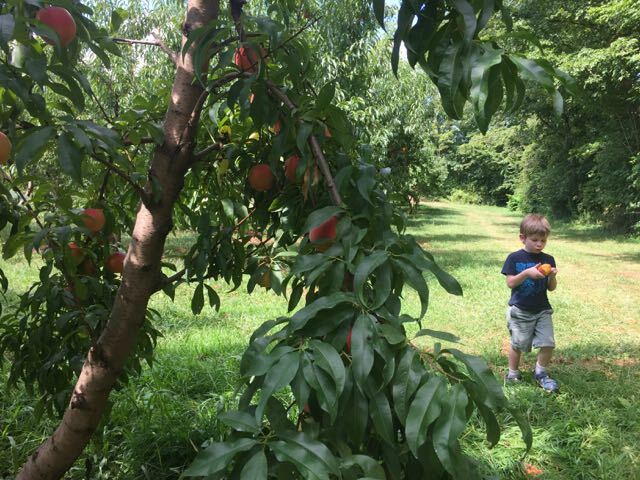 I hope you and your kids can carve out a day for peach picking before the season ends! It is recommended that you allow at least 1 hour for U-Pick. 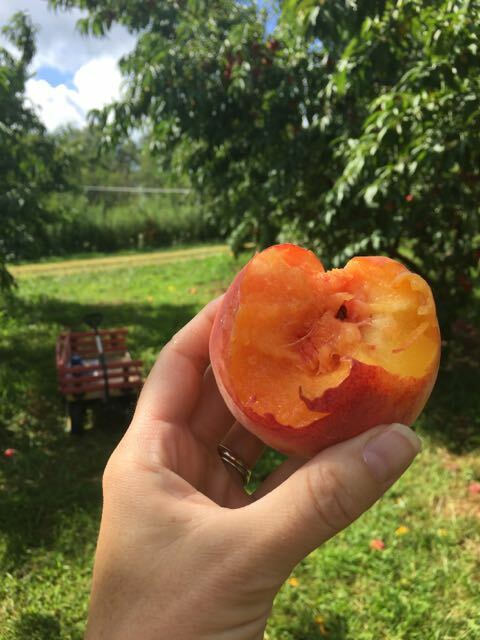 There is a $10 minimum for peach-picking. Boxes are provided for picking.